What both speakers deliberately ignored is the reality that this “paradise” has become an apartheid state that occupies and oppresses millions of Palestinians whose rights are denied, lands are confiscated, and daily lives have become a hell on earth. Not only that, but as Israel’s government moves further to the right it is mired in corruption, violates religious freedom, and embraces Donald Trump. It is at best, a stretch to call them “progressive.” The word means something and it doesn’t mean Israel. I was also struck by Ambassador Nicki Haley’s description of the United Nations as “bullying Israel” because the world body repeatedly passes resolutions condemning Israeli practices in the occupied territories. Once again, the reality is being turned on its head. It’s not the UN that bullies Israel, it’s Israel that is bullying the Palestinians by repeatedly violating international law and conventions. Because the UN is the body that established Israel and set the terms for “a just and lasting peace,” it remains the address for complaints with Israeli behavior. Palestinian recourse to the world body then isn’t bullying, it’s appropriate. Then there’s the Orwellian talk about “peace, two states and negotiations,” none of which bears any relationship with reality. Israel’s governing coalition no longer supports a two-state solution. For years, they pretended to endorse this outcome but did so with terms that made it impossible to achieve. Israeli leaders claimed to want “negotiations without preconditions leading to two states,” but then proceeded to lay out conditions like: settlement remain, no consideration of refugees’ right to return, no compromise on Jerusalem, and continued Israeli control over the Jordan Valley and access and egress on all borders. Meanwhile, in the two decades, since Netanyahu was first elected, the settler population has quadrupled as they continued to expand their settlement enterprise in the occupied territories. 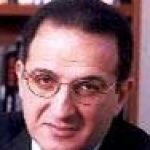 In the end, it appeared that Israel’s embrace of two states was more a stalling tactic or a fig leaf to mask their aggressive conquest of the entire land and their permanent subjugation of the Palestinian people. 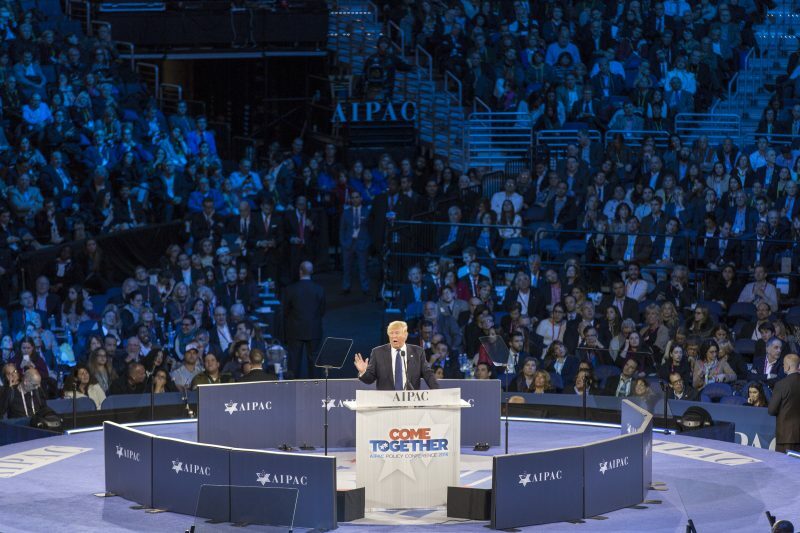 In the face of this reality, it was a bit of a farcical “too little, too late” for the new AIPAC president to declare his organization’s support for two states and then lament that this goal was probably unattainable due—he, of course, added—to Palestinian failures. That Fridman was quickly rebuked by members of the Israeli governing coalition was a clear indication that Israelis have become so emboldened they no longer feel the need for a fig leaf to cover for their ill intent. The topsy-turvy world of AIPAC’s use of language was writ large in the juxtaposition of two signs advertising an event on “freedom of the press.” Outside the room was a screen that announced the session “Free Speech and Freedom of the Press in Israel.” Above it was another sign stating that “This session is off the record and closed to press.” No further comment is necessary. If this weren’t enough to set sane minds reeling in confusion or consternation, there were the bizarre claims about “Israel’s moral army” or the need to confront “Palestinian fake news” about the occupation army’s mistreatment of Palestinian children or how Israel is on the verge of peace with its Arab neighbors, if it were not for the pesky Palestinians who keep getting in the way. Thankfully, the story doesn’t end here. Polls are showing that there is some promising movement in public opinion on issues involving Israel and the Palestinians. Republican opinion, driven by right-wing evangelical Christians and neo-Conservatives, remain under Israel’s sway. Democrats, on the other hand, are divided in their support for Israel, with young and minority voters no longer buying the AIPAC-created narrative and increasingly more supportive of Palestinians. This deadly contest between reality and illusion will continue.